Printed 10pt card stock cover and 80lb book inner stock. Available in increments of 25, 50, 100, 200, and 250. 10pt Perfect Bound Catalogs: When you need space to create, consider our 10pt Perfect Bound Catalogs. Filled with 28-92 pages of full color 80lb book inner stock enveloped by a full color 10pt card stock cover, these Catalogs are crafted to impress. 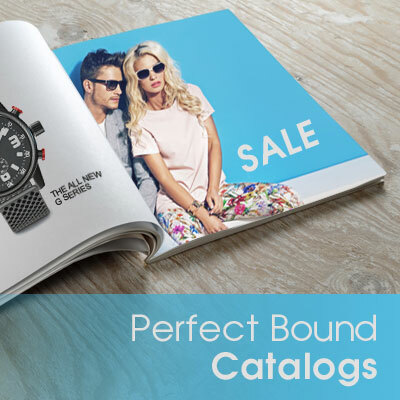 Just like your favorite magazine, your catalogs are perfect bound and dazzle with an Aqueous Gloss finish on the cover and a dull matte finish on the inner pages. 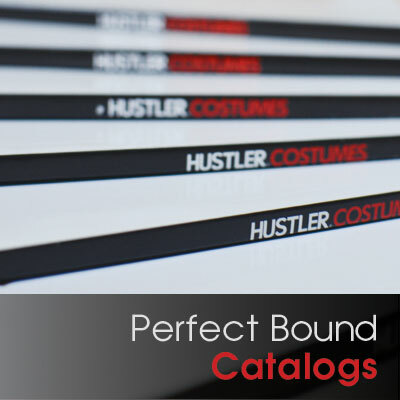 10pt Perfect Bound Catalogs are available in quantities of 25, 50,100, 200, and 250. Select if your project is stapled on the long edge or short edge of the booklet.